Located in Kerala, Munnar in Western Ghats mountain range is famous for hill stations and resorts. If you are planning to visit Munnar then you will have a wonderful time enjoying the beauty of nature. 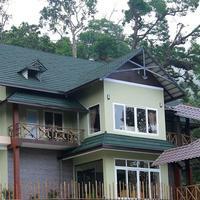 At the same time, you also need to look for the best hotels in Munnar. 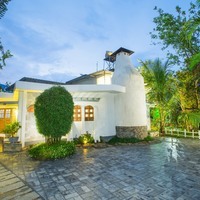 In order to assist you with hotel bookings, Cleartrip lists all kinds of hotels and also offers the best deals on them. The different places in Munnar like Anamudi, The Blossom International Park, Mattupetty dam and many other tourist spots always welcomes you to enjoy your holiday. 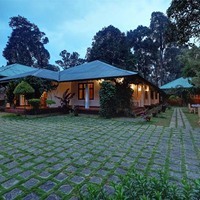 Finding hotels in Munnar has become very easy as Cleartrip offers price, location and property type filters to list just the kind of hotel you need. 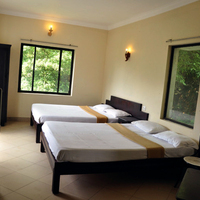 All hotels are fully-equipped with basic facilities and amenities. 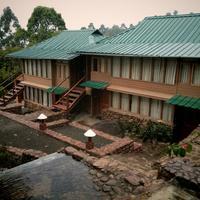 So book on Cleartrip and enjoy discount offers and deals on the hotels in Munnar. 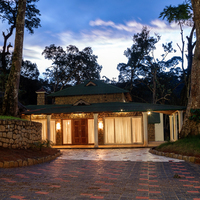 Top Munnar hotels in various localities will truly help you enjoy a luxurious stay with the best facilities. Searching for a hotel within your budget? 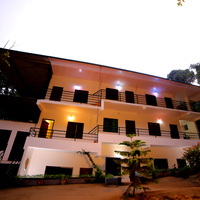 Well, there is nothing to get worried as a large number of Munnar hotels are available at affordable prices. 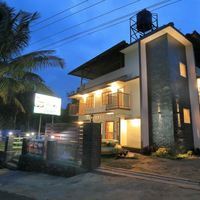 If you are confused which hotel to book, browse through stat hotels, boutique hotels, resorts, budget hotels and homestays in Munnar as this will help you to know about the different options you have. Don’t forget to check hotel pictures and facilities offered. User reviews also help in taking the right decision. Located in the Idukki district of Kerala, Munnar is a hill station that is also referred to as the ‘Kashmir’ of South India. Until 19th century, this part of Kerala was covered by forests where the tribal natives, Muthuvans lived. It was only when a few enthusiast planters discovered the place during the British rule, that this place got the spotlight. Thus, Munnar was turned into one of the best tea-cultivated regions with lots of tea gardens on the slopes of the hills. from Cleartrip to enjoy your trip and serenity of the place. You can find different types of hotels here. 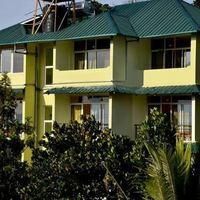 If you are on a tight budget, you can go for guest houses, home stays and budget hotels. For a lavish vacation there are 4 to 5-star hotels, boutique hotels, etc. In the 2 and 3-stars hotels, you will get several facilities, like AC rooms, TV and also the room service. If you are staying in a boutique hotel or a 5-star hotel, you will get high-end facilities like gym, wellness services, swimming pool, bar and so on. 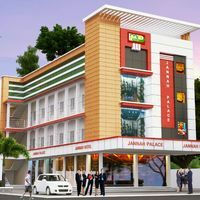 , you should look for certain hotels, which are centrally located and connect with other parts of the city. You should also consider the view of your hotel. 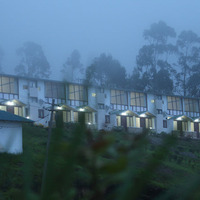 If you are visiting Munnar in peak season, you may not get a hotel easily. In such a case, you should book your stay in advance to avoid paying hefty amounts on last minute hotel booking. Cost is one of the most important factors that should be kept in mind while booking a hotel. You can narrow down your search, based on your budget. 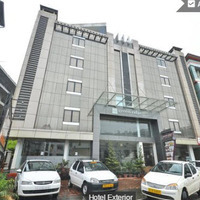 There are different types of hotels on Cleartrip. You just need to search extensively. : If you want to experience a luxurious stay with extra-ordinary perks, book a 4 or 5-star hotel or boutique hotel. 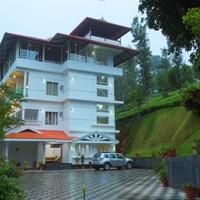 You can easily book 4-star hotel or 5-star hotel in Munnar through Cleartrip. 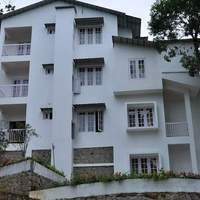 - According to the travellers who have visited Munnar before advised to stay away from the chaos of the city and book hotels outside the city life to feel the serenity of the place. You can check hotels near railway station or airport.
. 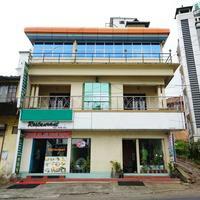 It is 10 km away from the main town and you can experience a wonderful stay at a place surrounded by tea gardens. The lush green garden with the blue sky will create a picturesque view to enjoy from your hotel room. 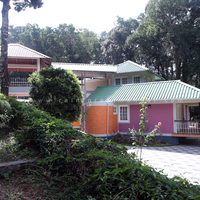 This is a small beautiful village in close proximity to Munnar and has many nice hotels for a great stay. 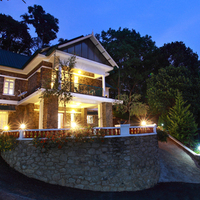 There are many hotels of all categories in Munnar. You can browse through the Cleartrip website and grab the best deal on your booking. Usually, the price range of hotels may start from Rs. 400 and can go up to 12-13k, per night. 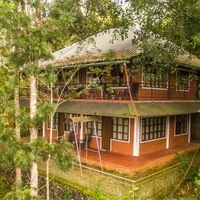 Reaching Munnar is not difficult as the town is well-connected with the major cities of the country through different means of transportation. If you are travelling from any other town of Kerala and Tamil Nadu, you can take state buses or private buses to reach faster or reach in your own car. 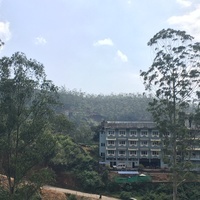 There are three nearest rail stations that connect Munnar with other parts of the country. The Ernakulam Railway Station is 130km from Munnar while the distance between the town and the Madurai Station is 135km. The nearest station is Aluva, which is 110km away from Munnar. It does not have its own airport. You need to reach Cochin International Airport and take a cab to reach Munnar. , enjoy cardamom tea and know the revolutionary history of turning forest of Munnar into a tea garden. 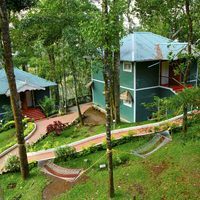 , enjoy the mystic beauty of Munnar here with tea garden and great view. enjoy the idyllic beauty of nature here. , have a weekend picnic here with family. , enjoy shikara boating here. , get mesmerised by the natural beauty. , to have fun hearing your voice echoing. The culture here a blend of tribal Muthuvan traditions, and the traditions of Tamil Nadu and Kerela. During the months of August and September, one of the most popular festival is celebrated in the town called as Onam. Munnar is famous for tea and spices. So you can buy tea leaves, spices, homemade chocolates and more. Top delicacies that you must taste while you are in the town are fish, beef, appams, idlis, dosas and more. Shivanasamudra Falls : It takes 8 hours to visit the beautiful waterfall that is located 319km away from Munnar. Kochi: Visit the town by road as it is only 132km away from Munnar and will not take more than 3-4 hours. Aleppey: Another tourist destination in Kerala that you can travel from Munnar is Aleppey. It is at a distance of 176km from the town. Thekkady: The distance is only 93.5km but it takes 3hours to reach there. Athirapally Fall: The distance is around 139.2 km, and you can visit the beautiful natural phenomenon. Ooty: This is 244 km from Munnar, and you will be mesmerised by the beauty of this southern town. The town experiences decent climate and can be visited between October and November and from the months of January to May. There is no heat and dust. Summer is in March and stay till May and the temperature ranges between 15 and 25 degree Celsius during this time. In winters the temperature drops down to 10 degree Celsius. Monsoon is romantic here and it is from June to September. The climate is pleasant and best for travelling. The peak season when the hotels are expensive. Temperature falls under 10-degree Celsius. Romantic monsoon with moderate to heavy rainfall. - This is an all-female festival when they bake puddings that are offered to the Goddess in the temple of Attukul. The Holy water is then sprinkled over them by the chief priest of the temple. - This is one of the most celebrated events in Munnar, which is organised on the second Saturday of August. This is a spectacular ceremony. The boats are decorated extravagantly with colourful trimmings. This is another most interesting festival, which is celebrated in the honour of King Mahabali. This festival lasts for 10-days and is celebrated with lots of fun and fervour.